Cameron Ambulance District has been serving our residents and the surrounding communities since 1974. We specialize in providing advanced life support using modern medical equipment and spacious vehicles coupled with aggressive treatment protocols and a highly trained staff of paramedics and EMT’s. We provide emergency medical care you can count on. After being stationed in the City of Cameron Public Safety Building for 12 years, we recently erected a new facility to house our staff and equipment. 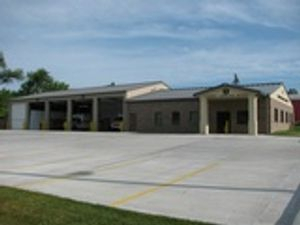 Our new facility is 7236 sq ft and houses all of our staff and equipment. We have been in our new location since November 2008. Whether you need emergency service, inter-facility transport, or just a kind helping hand, we are available to serve you. At Cameron Ambulance District, our goal is to provide you with courteous, expedient, professional service of the highest caliber.